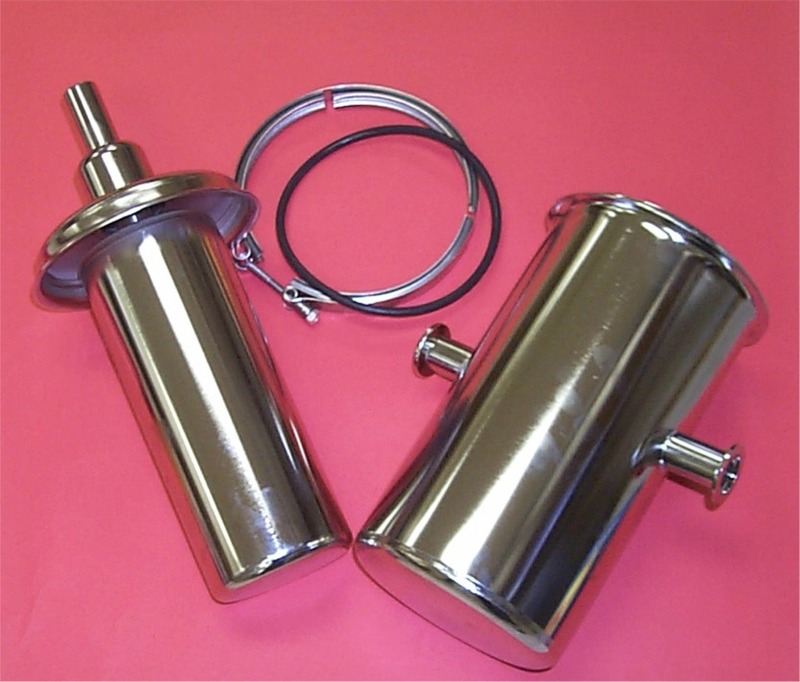 When used in line with a rotary vane or diffusion pumps, complete trapping of water vapor, solvents and other condensable gases is achieved, as well as a lower base vacuum. These traps have also been used on diffusion pumping systems to minimize oil vapor migration from the roughing pump to the diffusion pump. The primary use though, is as a fore line trap for getting condensable vapors out of the gas stream so they do not enter the vacuum pump and degrade the fore line pressure of the pump through contamination. They are a pretty good size for this style of trap and can be considered when larger roughing pumps are engaged in the evacuation process. 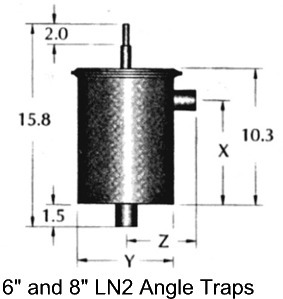 It is important when using these traps to maintain the level of the liquid nitrogen at the correct level in the trap. HyVac’s traps come with a number of nice features. Quick release clamp allows for easy disassembly of the 2-piece trap body. 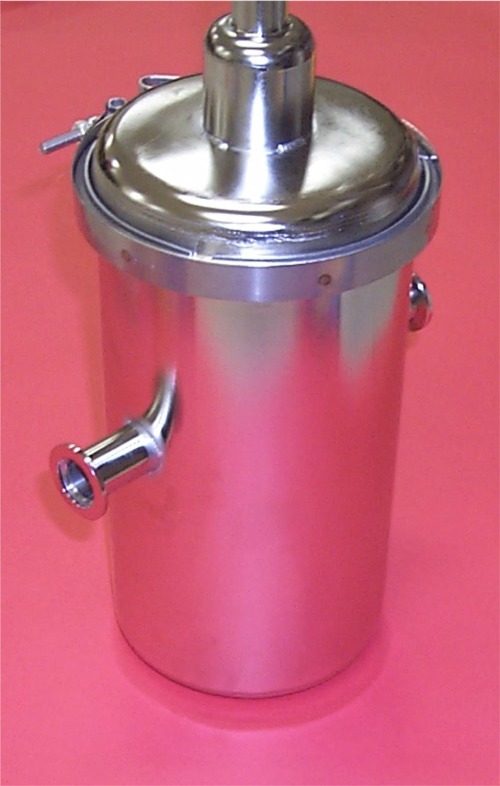 A demountable liquid nitrogen reservoir included for easy cleaning. 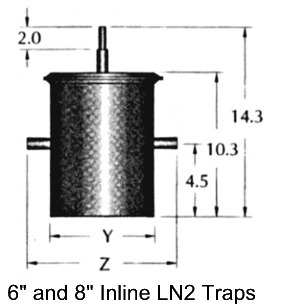 The traps provide roughly 6-8 hours of operation. ID/OD 304 stainless steel construction. -187 Degree F temperatures. 1L and 2L LN2 Traps available also. We have all the QF / NW fittings to hook these up to your system also. CF and ISO fittings available for system compatibility.